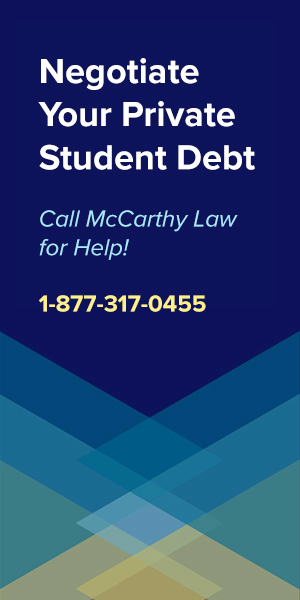 NEWS ALERT: On Thursday, December 13th 2018 the Department of Education announced that they’re approving $150,000,000 in Borrower’s Defense to Repayment Discharges, including discharges for people who attended Walden University. If you’ve already submitted your Walden BDAR application, then there’s a great chance you’ll receive forgiveness during this wave of approvals, so be sure to monitor your email closely, as DOE started issuing alerts notifying borrowers of approvals on Friday December 14th. And if you haven’t already submitted your Walden Borrowers Defense application, then I’d suggest getting it in TODAY so that you stand a chance of being included in this round of approvals! 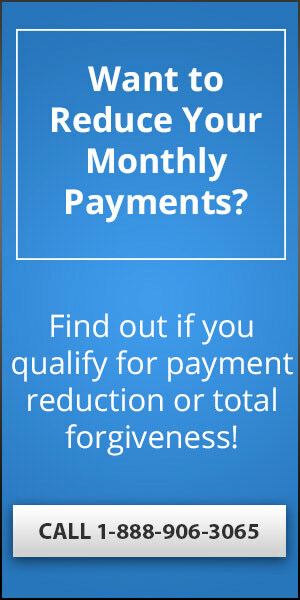 In 2019, former students of Walden University can easily eliminate their debt via the Borrower’s Defense To Repayment Program, which allows you to wipe out the entirety of your outstanding student loan loan balance and potentially even qualify for a refund for any amount of money you’ve already paid back! Before your red flags rise, know that this is a 100% legitimate, US government-backed program, and not at all one of the popular Student Loan Forgiveness Scams floating around these days. In this article, I’m going to give you all the details you need to figure out how to use the Borrower’s Defense Program (BDAR), including who qualifies for a discharge and how you can write your application to increase the chances that it’ll get approved and you’ll receive complete student loan forgiveness. If you’re a former student of Walden University in desperate need of loan forgiveness, then you’ve you’ve come to the right place. 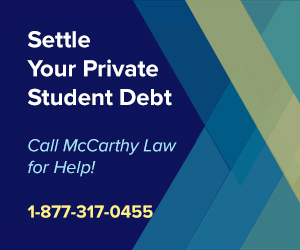 Before I go through the Walden University lawsuits, loan forgiveness and refund programs, allow me to let you in on a dirty little secret that the student loan industry doesn’t want you to know: the best way to eliminate your loans as quickly and cheaply as possible is to pay an expert to review your case, then provide you with a strategy for eliminating your debt. Why? 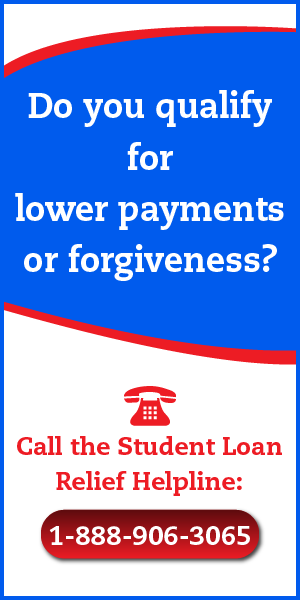 Because student loan lenders and servicing companies have made dealing with your loans as difficult and complicated as possible, since they make more money when you make mistakes, fall into delinquency or default, and so they’ve created a system that works against your best interests, on purpose. But there’s only one company who I trust to provide advise to my readers, and that’s the Student Loan Relief Helpline. The Helpline is staffed by actual debt experts can review your specific situation in a few minutes, then provide you with a plan for eliminating your debt as quickly and affordably as possible, and in most cases, they can do this for just a few hundred dollars. 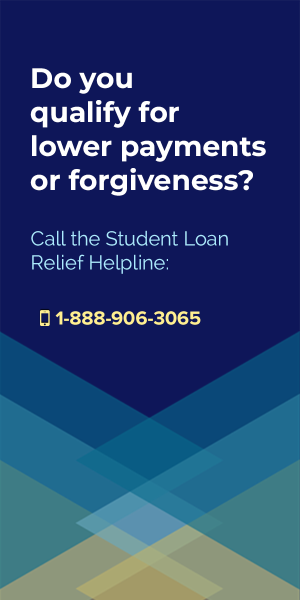 To get expert advice about what to do with your Walden University loans, call the Student Loan Relief Helpline now at: 1-888-906-3065. Walden University has been accused of fraudulently misrepresenting the time required to complete its degrees and deliberately throwing hurdles in the path of students in order to slow down their progress and keep their student loan money flowing into the school’s coffers, each of which are highly illegal (not to mention immoral) behavior. The school has also been accused of having a culture driven more by enrollment numbers than the academic progress of its students, which is highlighted by the fact that Walden spends more money on marketing than it does on instruction. 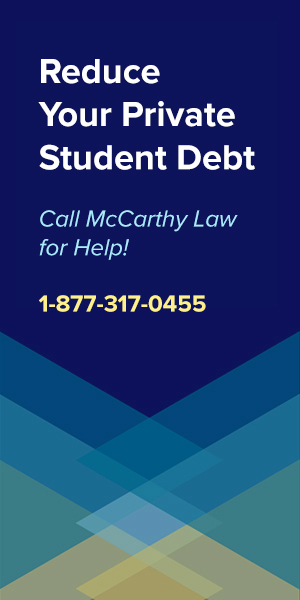 And while this news may be sad to former students, you should also be celebrating, because the fact that they’ve been accused of this grossly illegal behavior means that you have a really good chance of qualifying for a Borrower’s Defense Discharge and 100% forgiveness for any student loans you owe the school. The US government created the Borrower’s Defense program to help people who are buried in debt from schools that weren’t acting in their best interests, typicaly because the school did something illegal in order to convince the person to borrow money to attend their higher education program. Because Walden University has been slapped with a damning class action lawsuit that goes through all their illegal behavior in detail, all former students of the school are eligible for the Borrower’s Defense To Repayment program, and we highly recommend that you apply to this program as soon as possible. Now, you might be thinking that this is a longshot and that it’s probably more trouble than it’s worth, but that’d be entirely wrong, because right now former students of Walden University are using the Borrower’s Defense program to discharge their student loan debt, and you can too! All you need to do to qualify for a Walden discharge or refund is to link the school’s legal troubles to your Borrower’s Defense claim. Keep reading because I’m going to explain exactly how to do that. 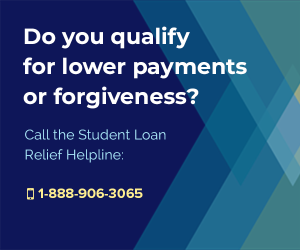 If you properly fill out the Borrower’s Defense application and your loan servicer processes it correctly then you are almost guaranteed to receive not only student loan forgiveness, but also a refund for any payments you’ve already made toward the loan. The most important thing to remember is that you absolutely must stress Walden University’s legal problems, and you need to tie those problems to your own experience with the school. That means that you’ll need to do a bit of web research and familiarize yourself with their fraudulent activity (or at the very least, read the entirety of this post). The second thing you need to do is emphasize that you wouldn’t have taken out the student loan to attend Walden had the school not engaged in fraud. In other words, if Walden University had told you the truth about their average program completion time, then you wouldn’t have signed for that student loan because it wouldn’t have seemed like the great deal they made it out to be. Since Walden University has had lawsuit troubles it will be fairly easy for you to prove that they misled you via false advertising. However, you’ll need to be very specific about what the school did that convinced you to take out the loan. What did they tell or promise you? You’ll need to include that in your claim on the BDAR application..
Let’s take a look at what Walden University has been accused of doing that got them embroiled in class action lawsuits. While you’re reading through this, remember, If Walden did any of these things to you, then these are the reasons that your student loan should be forgiven, and these are the things that you should reference on your Borrower’s Defense application. What Fraudulent Activity has Walden University Been Accused Of? Walden University has been accused of having a company culture that revolves almost entirely around enrollment numbers, rather than education. This caused them to misrepresent the school to prospective students. I will go into more detail about what they did in the next section. What I want you to understand here is that it’s not enough to simply point out on your Borrower’s Defense application that Walden University was involved in shady activities. You need to prove that they did these things to you personally. As you read through the list of things that Walden has been accused of doing ask yourself if any of this sounds familiar. If it does, you need to apply for the Borrower’s Defense program and use the application to state that the school did these things to you personally. Did you personally experience any of these things while you were a student at Walden University? If so, you can use these as the reasons why your student loan should be discharged. You can file your Borrower’s Defense claim by going through this wizard on the US Department of Education website. Do not file it anywhere else! This is the official application set up for the Borrower’s Defense To Repayment program. You should be extremely careful about filing a claim anywhere else. Whenever there are people in desperate need there will be scammers trying to take advantage of them, and you certainly don’t want to become one of their victims. File your Borrower’s Defense claim here at the official US government website. 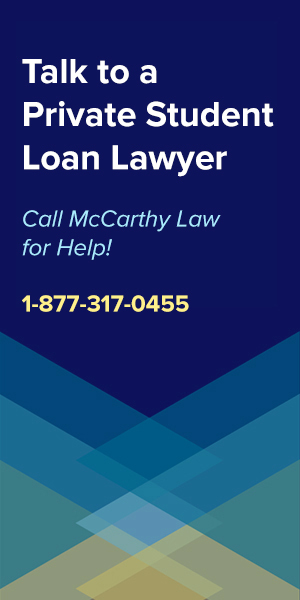 Unfortunately, Borrower’s Defense claims are taking quite a bit of time to process right now, for a variety of reasons that we don’t need to go into. But suffice to say that I’ve received reports from people who waited over a year before they heard anything about their application at all, so you need to get your application in as soon as possible, then start the long and difficult process of sitting tight and waiting for a response. Get your application in now, because Secretary of Education Betsy DeVos has been trying to abolish the Borrower’s Defense program since she was elected (she’s good friends with the for-profit schools and student loan servicing companies who make money off excessive student debt). The reason you need to apply now is that if you can get your application in before she successfully bans the program, you should be grandfathered in and still receive forgiveness. The IRS considers forgiven student loan debt as taxable income. Which means that yes, you will owe taxes on the amount forgiven. And as if that isn’t bad enough, it gets worse, because the IRS will want the money in one lump sum payment, rather than spread out over years like you’re able to do with your student loans. Here’s how it works. Let’s assume that you receive student loan forgiveness to the tune of $100,000. If your income tax rate is 30% you will own the IRS $30,000. That’s a hefty chunk of change, and one that most people simply won’t be able to come up with at the drop of a hat. While this is creating a terrible situation I’m referring to as the Student Loan Forgiveness Tax Bomb, I’m doing everything I can to help people like you avoid IRS issues by creating a new site called Forget Tax Debt, where I walk you through tax-related problems like this in detail, offering advice about how to fix things. If you, or someone you know, needs help getting rid of IRS tax debt visit Forget Tax Debt, where you’ll learn about things like Filing & Paying IRS Back Taxes, successfully negotiating IRS Tax Debt Settlements, signing up for and being approved for The IRS Fresh Start Program, and applying for and receiving IRS Tax Debt Forgiveness. 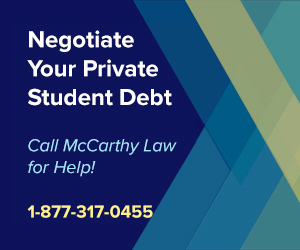 If you have questions about general student loan problems whether you need help with Private or Federal loans, then be sure to check out some of the other pages on my site, which offer advice on everything you could think of related to student debt. 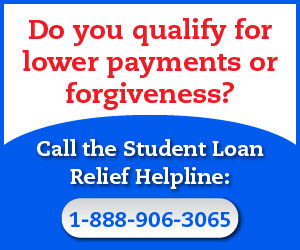 If you’ve got Federal loans, make sure to look at my pages on Federal Student Loan Debt Relief, Federal Student Loan Forgiveness Programs, The Borrower’s Defense Against Repayment Program, the Closed School Discharge Program, Federal Student Loan Bankruptcy Discharges, Federal Consolidation Programs and Federal Student Loan Repayment Plans. If you’ve got Private loans, then you’ll want to visit my pages about Private Student Loan Debt Relief, Private Student Loan Forgiveness Programs, Private Loan Consolidation, Private Student Loan Bankruptcy Discharges and Private Student Loan Default Help. And for issues with Walden forgiveness and your Borrower’s Defense Application, the best place to go for information is the official website from the US Department of Education. I want to caution you again about getting your information from anywhere else. Yes, there is some good information out there from entities that aren’t associated with the US government, because scam artists and sleazebags are running amok in this industry and they will milk you for every dollar that you’ve got. Stay safe out there! Finally, even though I’m not a representative of the US government and so I can’t speak on the topic with any official authority, I would still be happy to answer any questions you might have about the Borrower’s Defense program, Walden University student loan forgiveness, or just about anything else related to student loan debt. Feel free to leave me a message in the comments section below and I’ll get you a response as soon as possible. What if we are due to pay and we can’t afford it while we wait for the answer (i see it can take 1-2 Yrs)? Forbearance is used up. Also what if we consolidate it with another degree that’s not from Walden? Can we still file? When the Department of Education receives your BDAR Discharge Application, they put your loans into deferment until they have time to review and respond, so that’ll give you a little breathing room, but just be aware that if your loans are not subsidized, you should keep making interest payments because the debt will continue to rack up. Don’t consolidate loans with other schools because then your debt won’t be eligible for BDAR. BDAR is school-based, so if you’ve got a huge consolidation loan for two different schools, I don’t think the application would have any chance of being approved. I heard if a person gets a loan forgiveness they lose the degree, is that true? I am completing my PhD ( final study stage). Also what if my prior university that I got a Bachelors and MBA is being sued as well? (Devry University), I haven’t filed anything for any of them but can I file forgiveness for both since both have actually wronged me as well? If you get Loan Forgiveness, you won’t lose the degree. That won’t even happen if you get a DISCHARGE, like via the Borrower’s Defense to Repayment Program. The only time you lose any credits is if your school shuts down and you choose to get rid of the debt via the Closed School Loan Discharge Program. When you do that, all your credits disappear. How do I get the wizard? I attended Walden, I finished course work in 2011 and was in dissertation from 2011 – 2017. I had to change chairs as after 2 years my chair asked me to send him a copy of my proposal he did not have a copy of my work apart from never providing me ANY written feedback. He only reviewed my work on the phone. My second committee member became my chair and although I had written chapters 1-3 by myself which she had reviewed, she insisted I begin the proposal from scratch thereby wasting two years of my dissertation time and money. She then took another two years to approve my new proposal. To date Walden University never released my diploma because I owe the university two quarters in tuition. It should be available on the Borrower’s Defense to Repayment Application page. Can’t see why IRS sees forgiven student loan debt as taxable income. I can see why if its a refund in actual cash, but if you paid it yourself in the first place (out of tax-paid income) aren’t you just getting a refund of your own money? Because they’re the IRS. They always want their cut! Question: Do you have to be a graduate first from Walden before you can file for the long wait….to hear back from BDP? I am a Walden Univ. student and truly was strung along and had so many barroers to completion…so sad ..I am 200k in debt and still no.degree …:-(. Nope, you don’t have to be a graduate to qualify for Borrower’s Defense! Get your application in now! I submitted my application for the Borrowers defense program, as I was victimized by everything you could possibly imagine over many years with this scam of a University. I was incredibly detailed in my application (and addendum even), and very thoroughly reviewed one of the big class action law suits, and have actually even contacted that attorney, and linked that, to my application. My question is this, how long approximately is it taking for folks to receive notices on approvals or not? Any idea what the percentages are thus far on approvals and denials? Full discharges and partials? Some people are waiting up to 2+ years to even hear back from the Department of Education. This is a slow, slow process, and it’s getting worse as long as Betsy DeVos remains in charge. Ok thank you.. that is what I suspected. Please need help with Walden University and forgiving the debt. They continually gave out misinformation and lied about the program. Read my post for details on the Borrower’s Defense program. Online university prolonged my studies. Convinced me to pursue a degree that has no value as a way to cut down on my years pursuing a doctorate. Inept doc committee played so many games that I ran out of loan $, they were both removed from my committee—one resigned. Department chair & Assistant Department chair took over. Had so much re-writes needed that it took 3 quarters to complete. School tried to kick me out for non-payment. Argued until I wasn’t charged for at least 2 quarters. Have many emails. University has a history of this kind of treatment to students. Several class action suits now. Want my loans forgiven. Thanks. I think you may qualify for a Borrower’s Defense Discharge based on what you described here, but you’d need to provide full details, and basically written testimony of exactly what happened, and why you believe it constitutes illegal activity. It’s not an easy thing to do, but you should give it a shot because it does sound like you have a compelling case here. My name is Elnora Alexander I am 61 years old. I attended Walden in 2010-2014. I had to stop going to school because my financial aid ran out. I had to borrow money from Walden which I owe right now just to try to stay in school for another semester. Finally I dropped out because I couldn’t find any help to complete my education. Also, after adding up the rest of my credits to complete Walden University I really had probably another 2 years maybe. I was told my program was a 4 year term. It’s no way that could have happened from what I was experiencing. I would try looking into the Borrower’s Defense to Repayment Program because it sounds like the school may have led you to believe things that weren’t true? 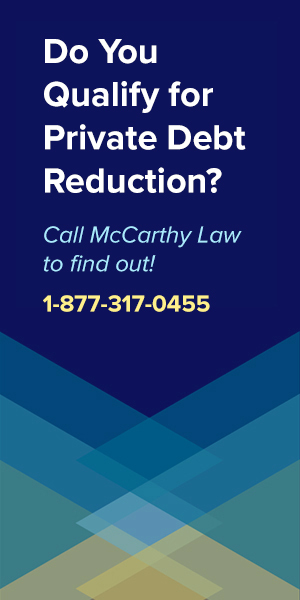 If you can prove that they committed some kind of false advertising against you, or that they defrauded you in some way, you may be eligible for a discharge.